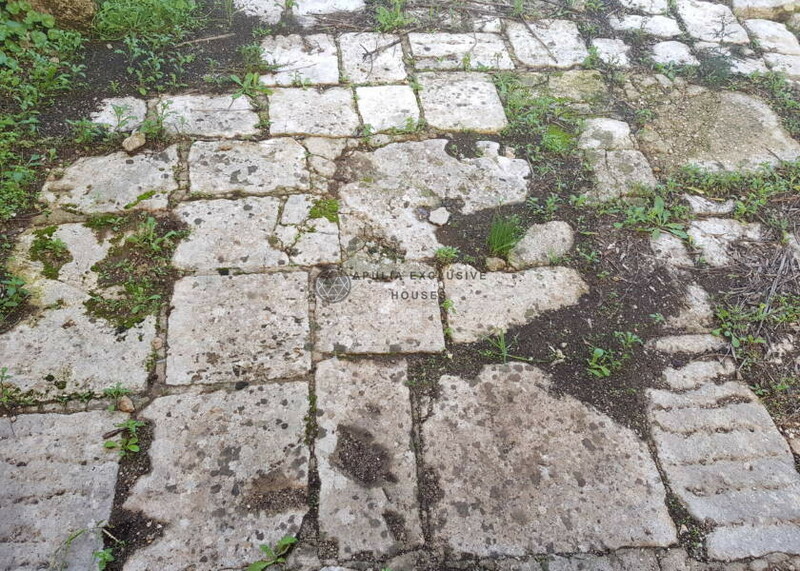 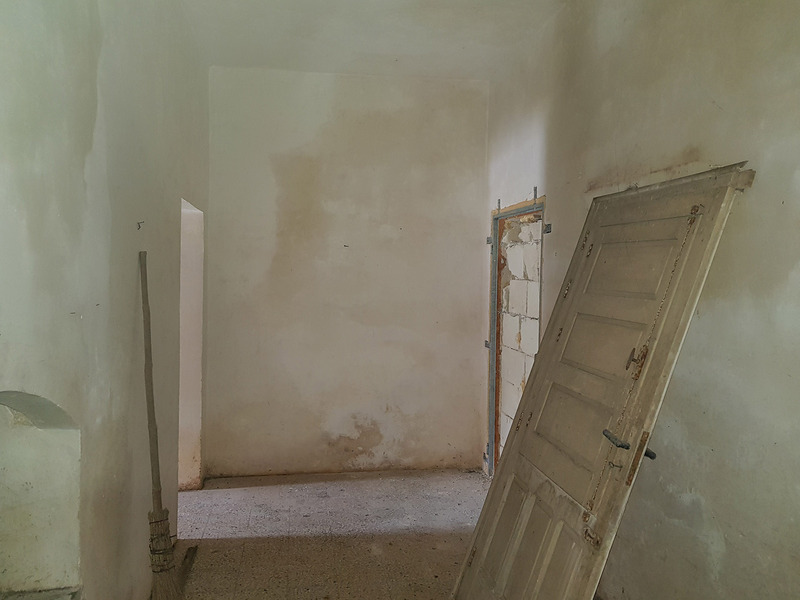 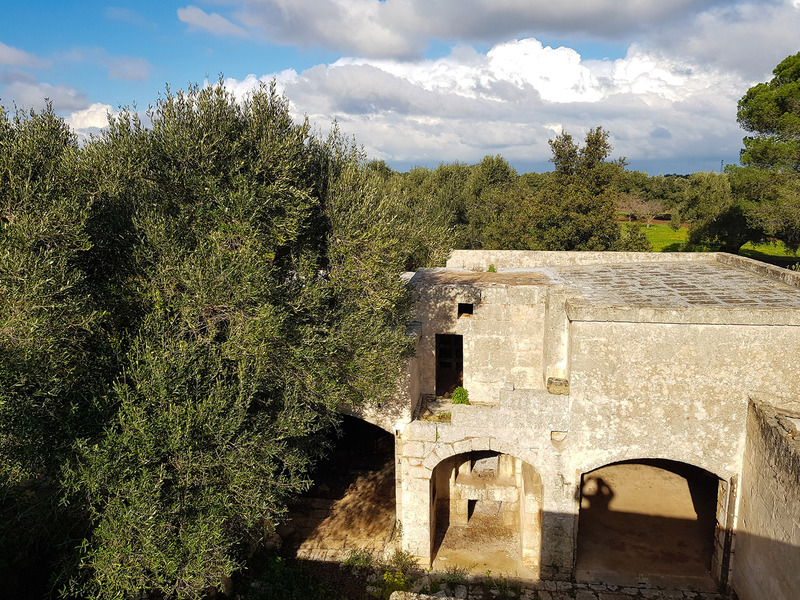 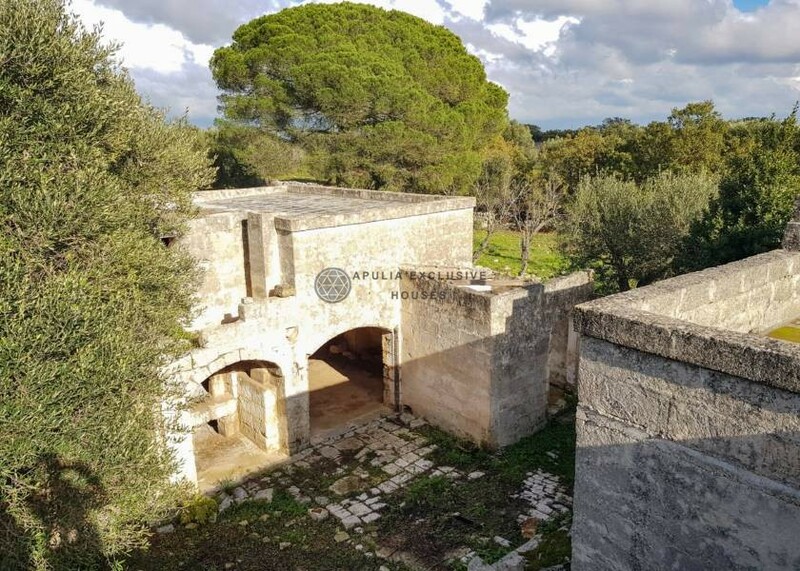 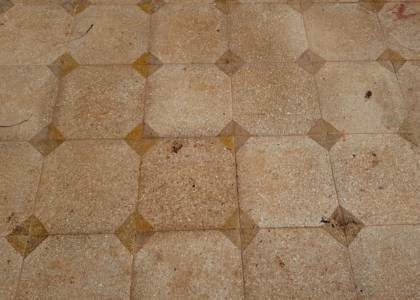 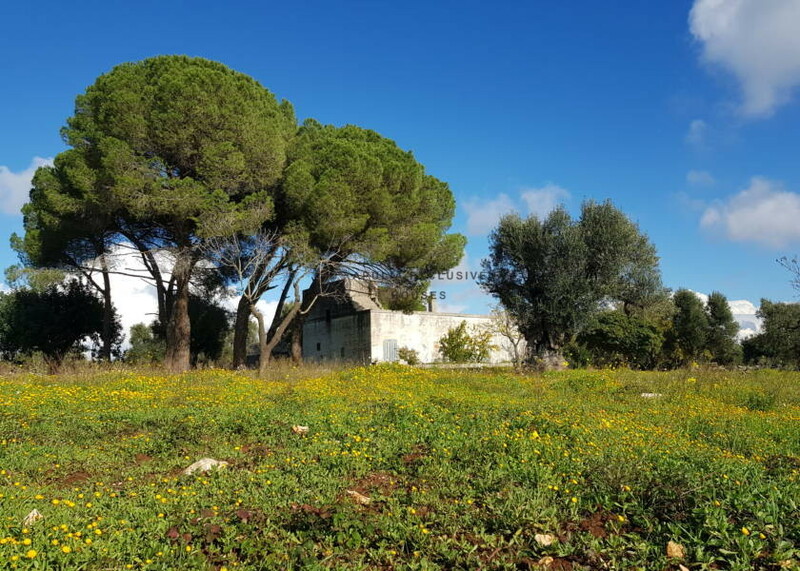 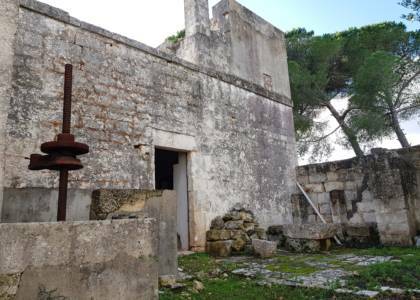 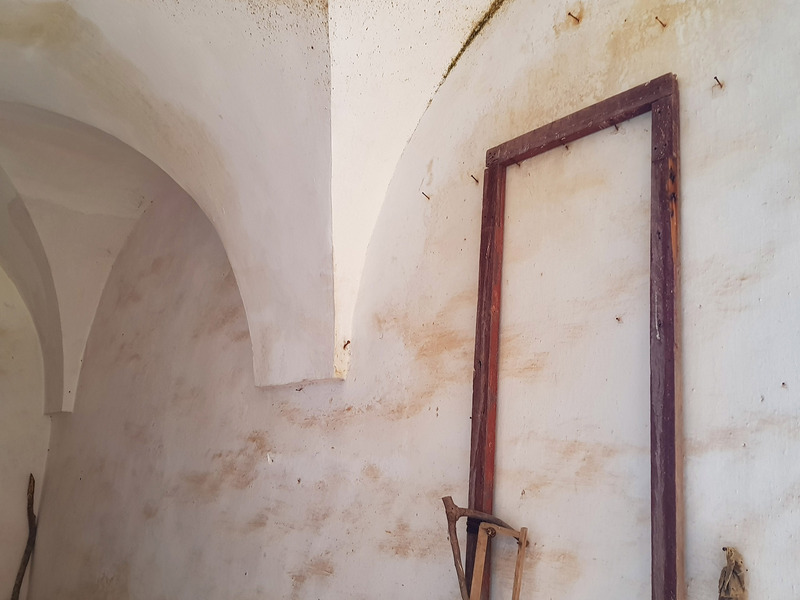 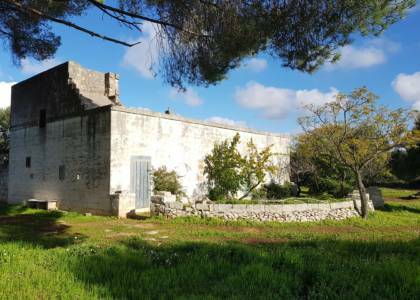 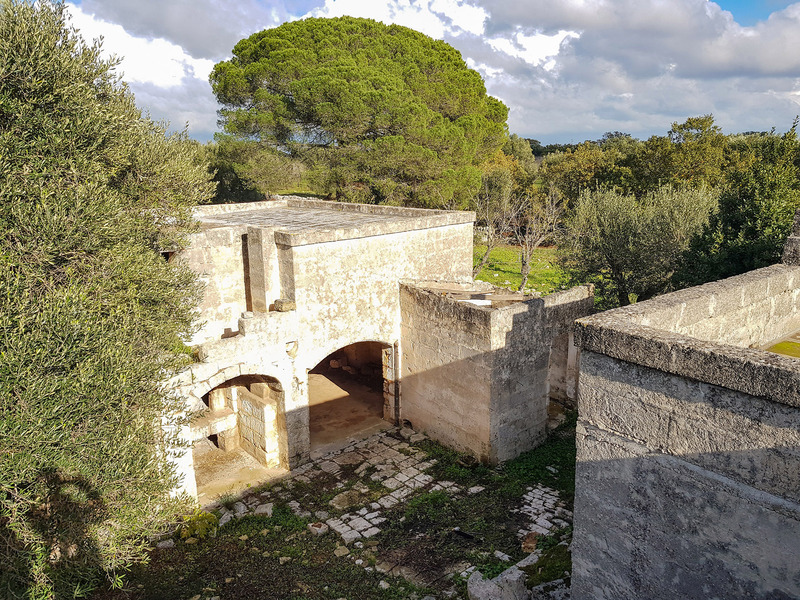 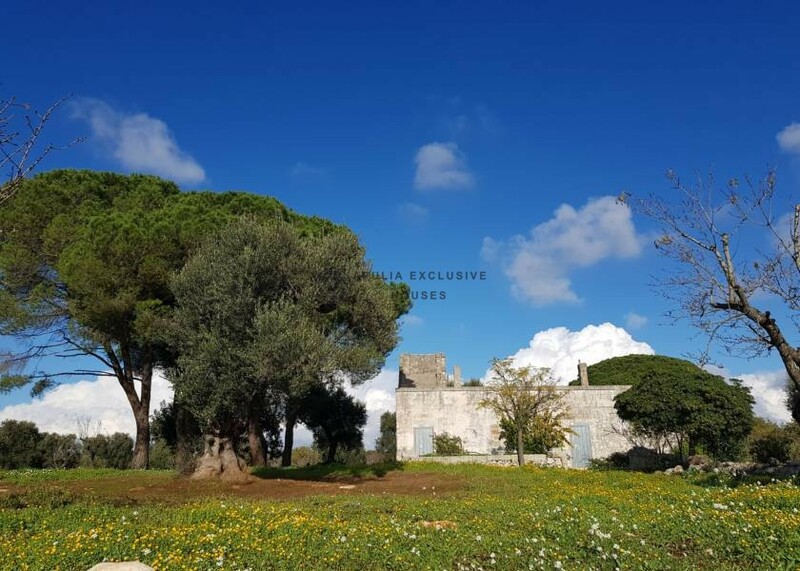 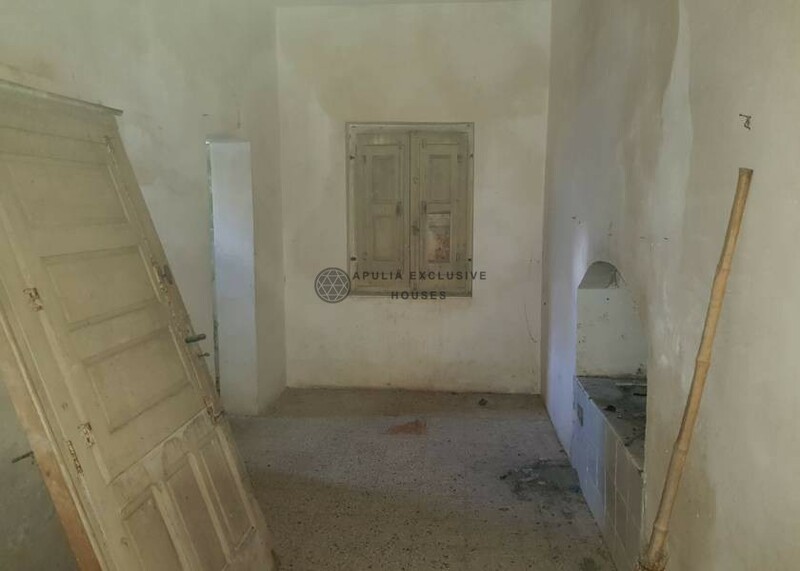 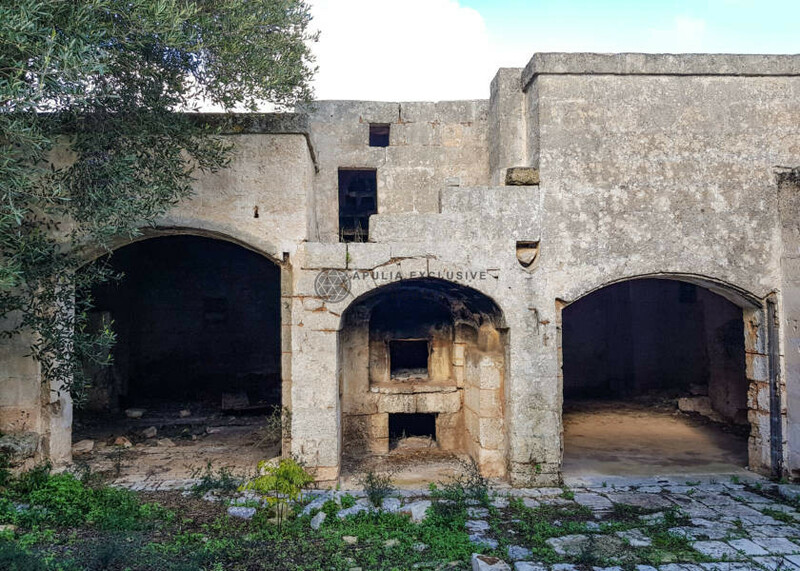 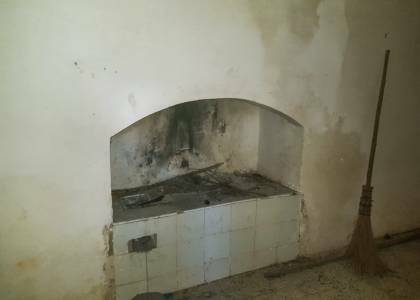 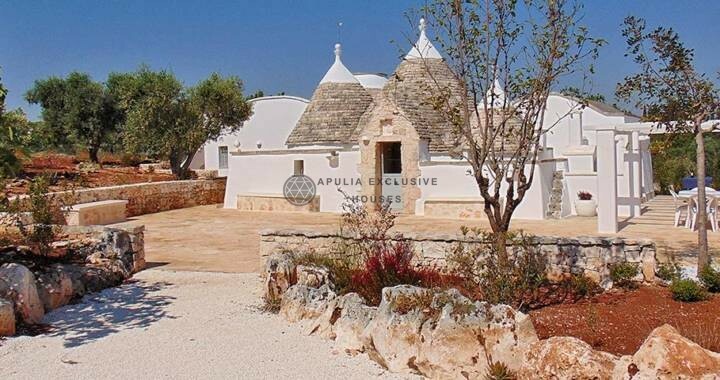 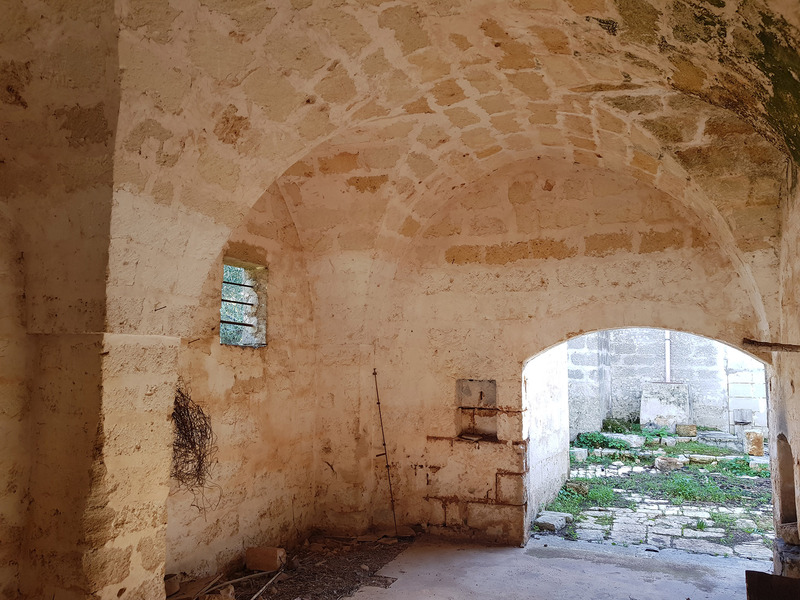 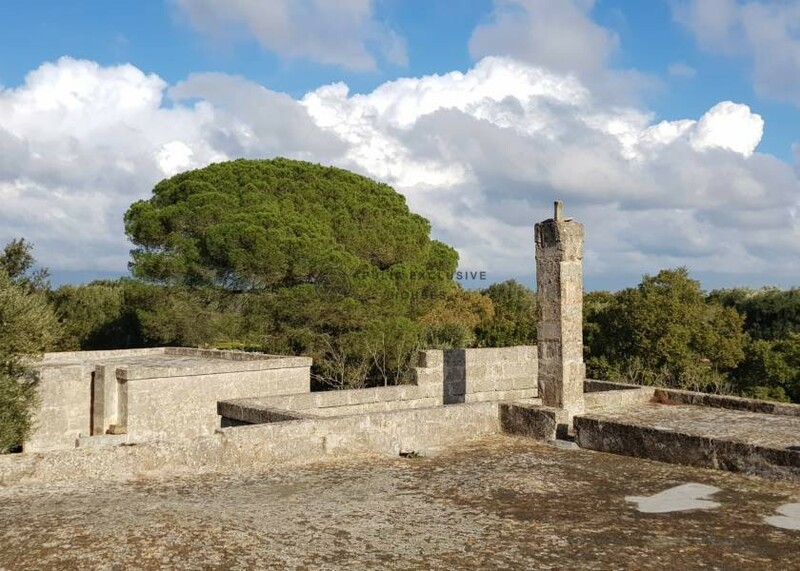 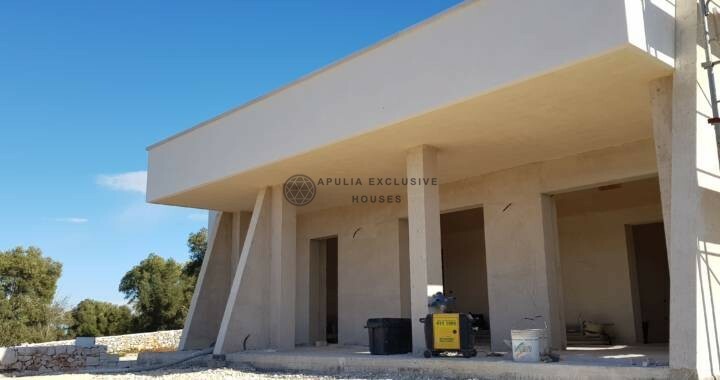 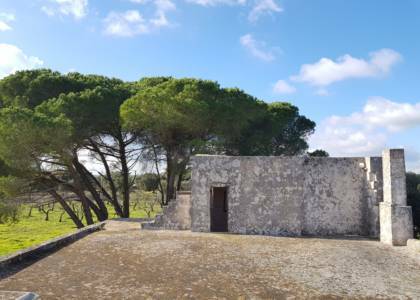 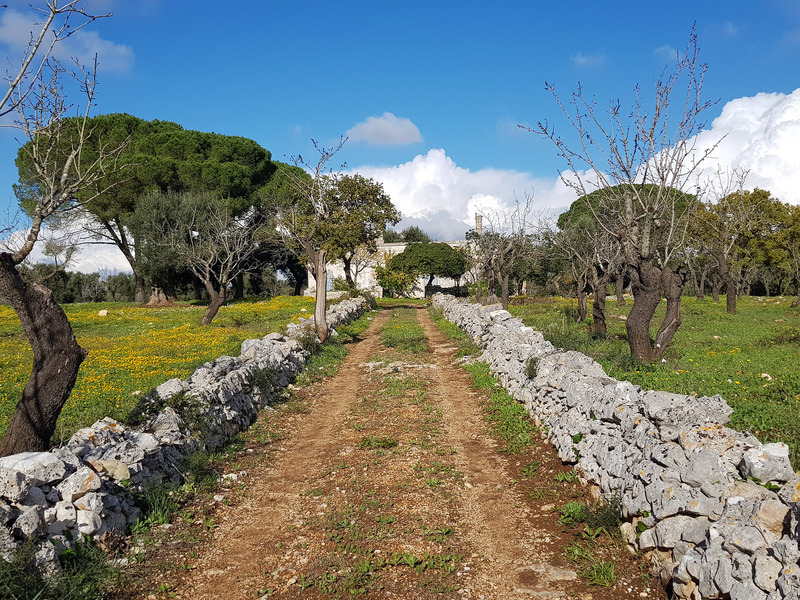 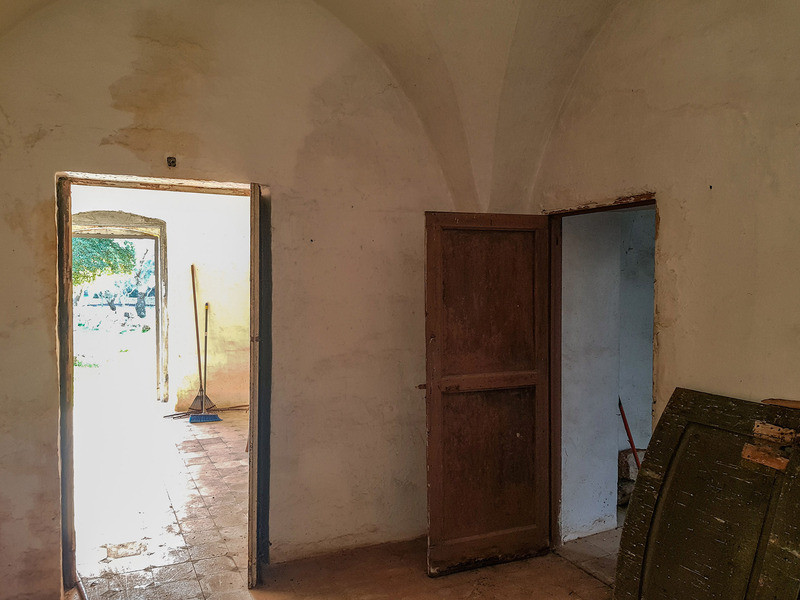 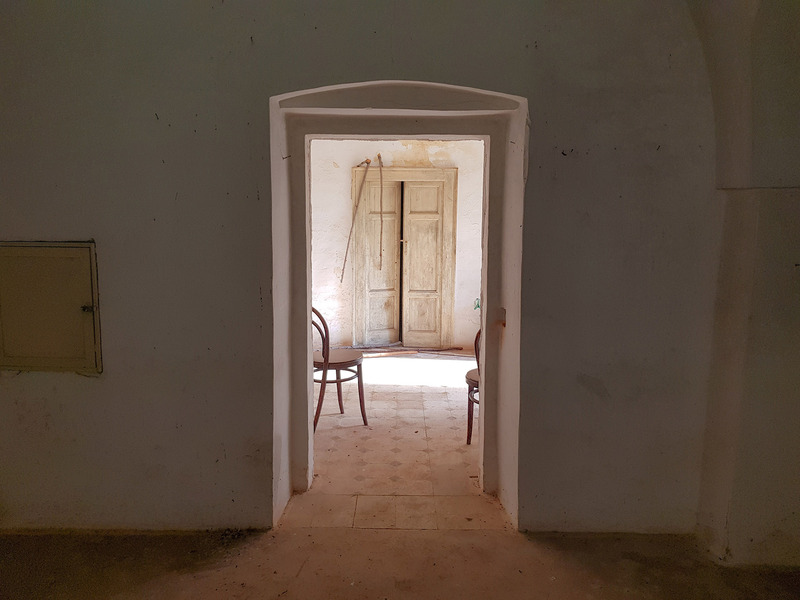 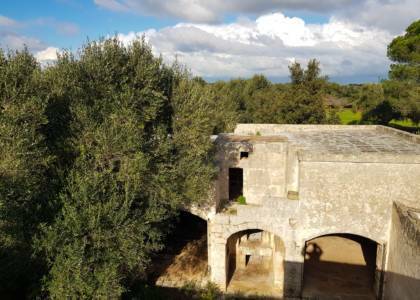 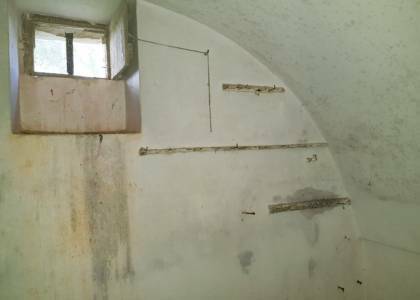 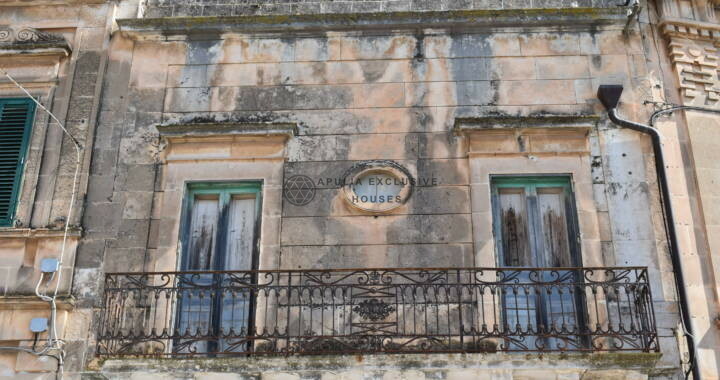 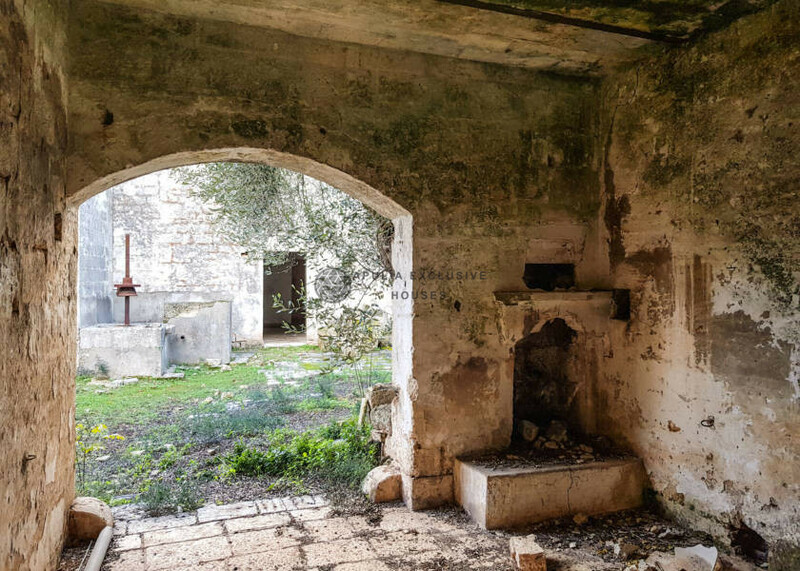 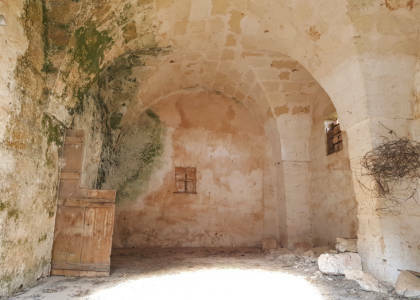 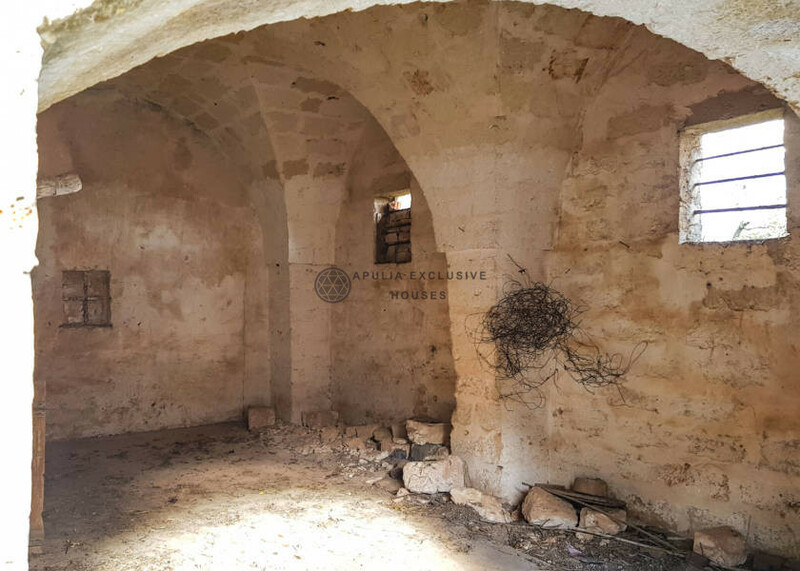 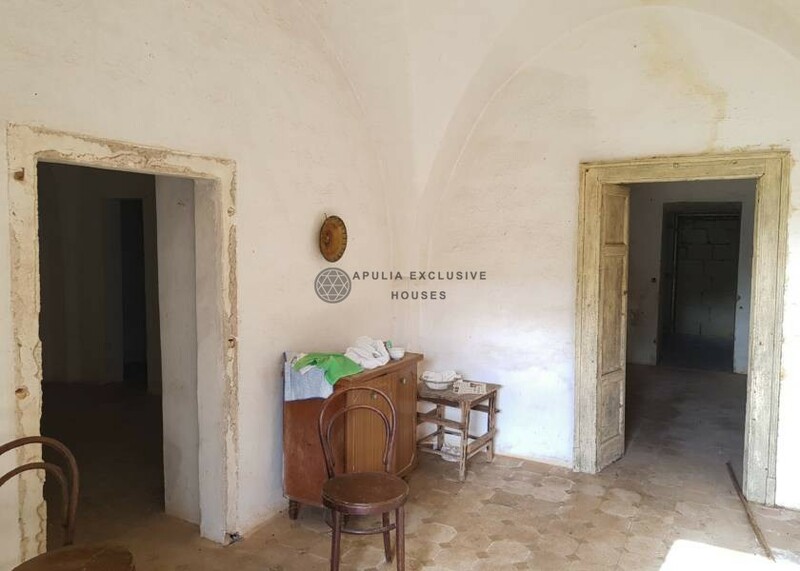 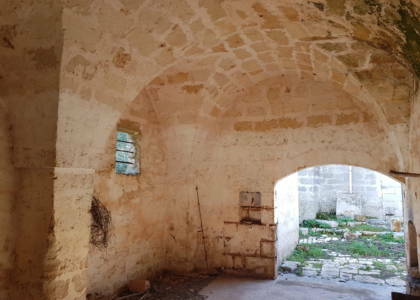 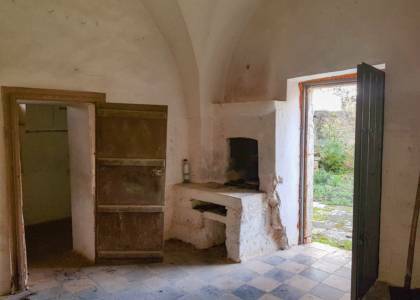 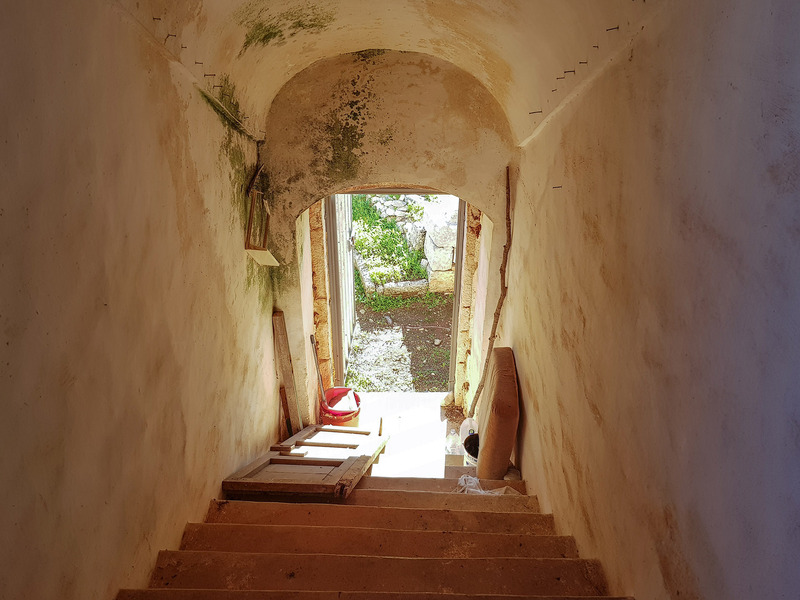 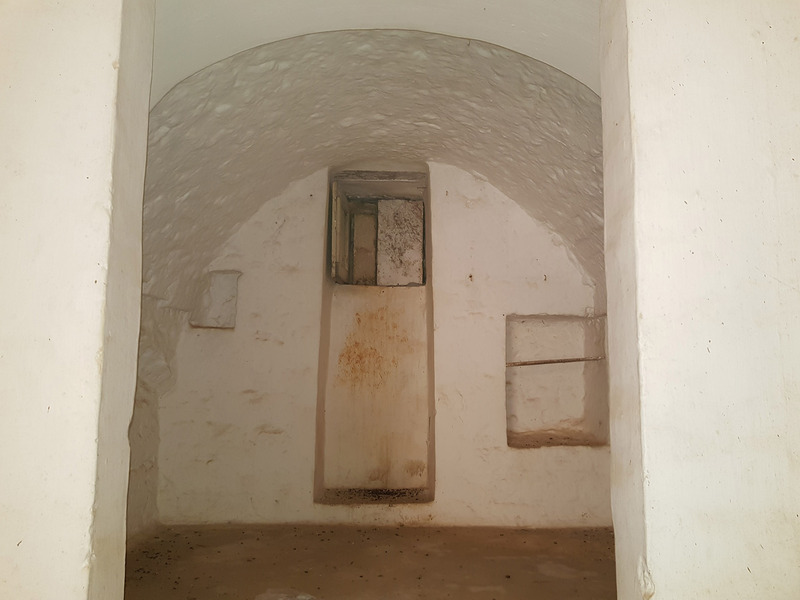 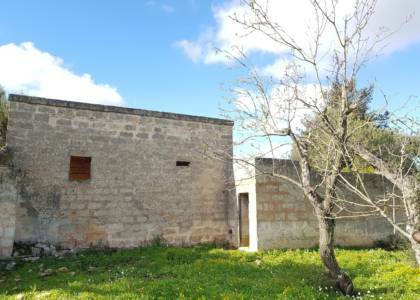 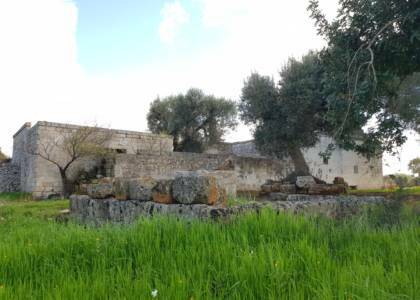 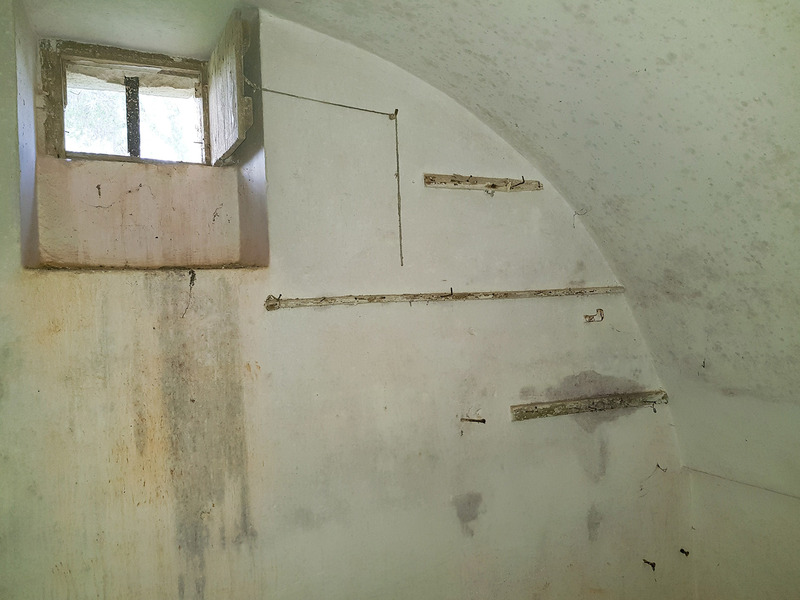 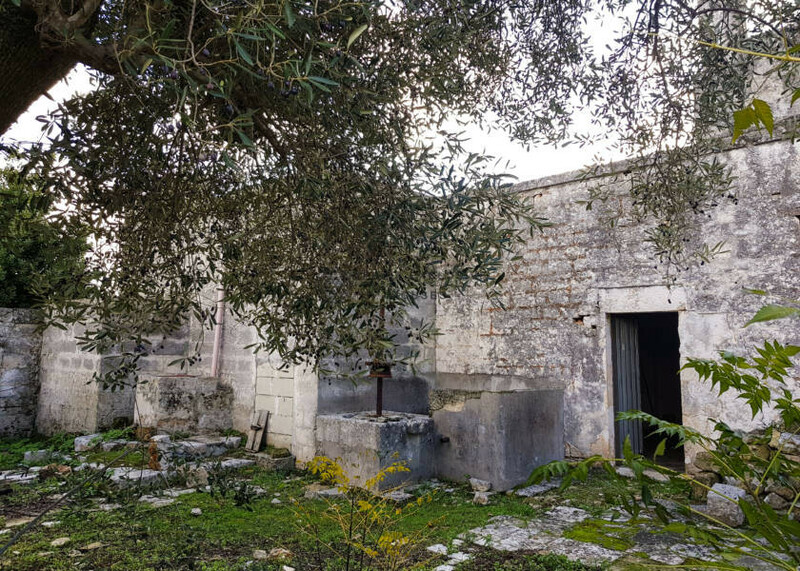 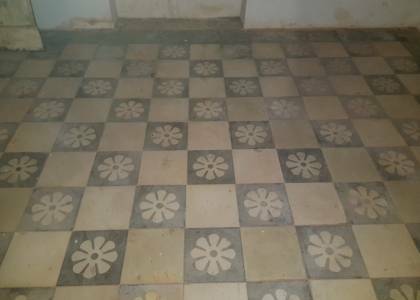 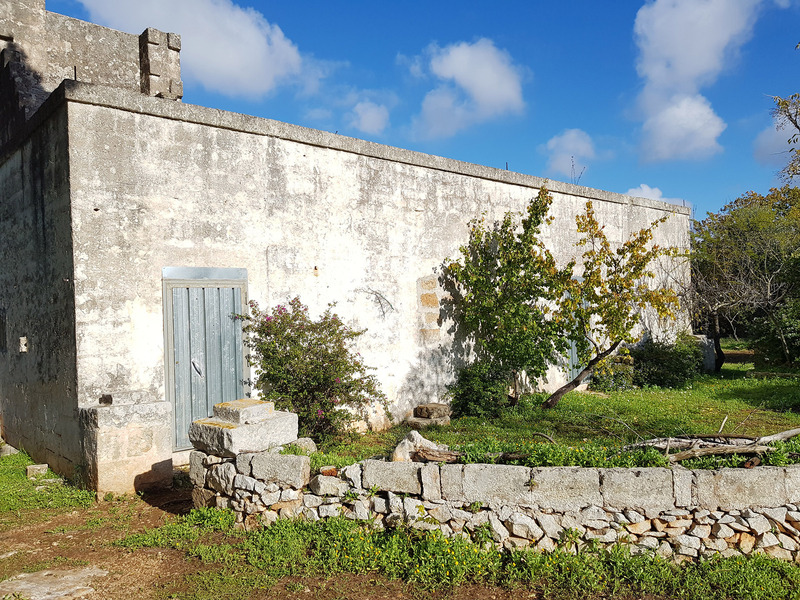 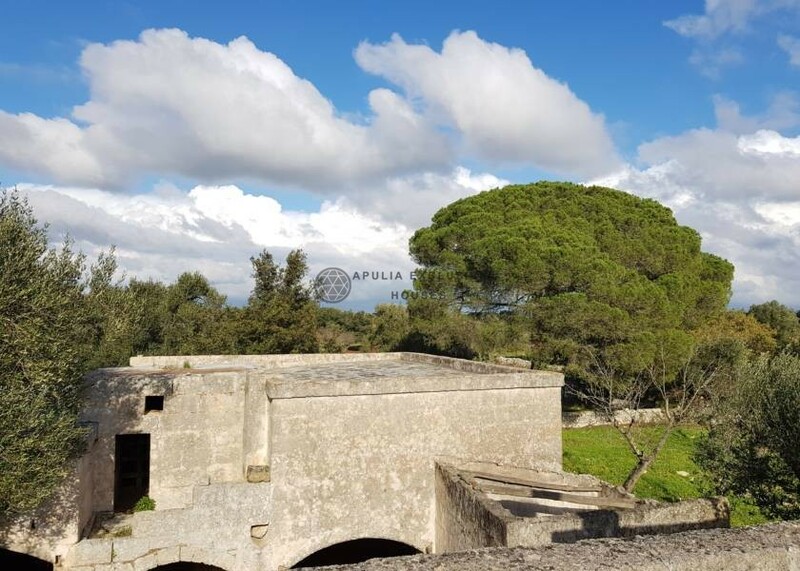 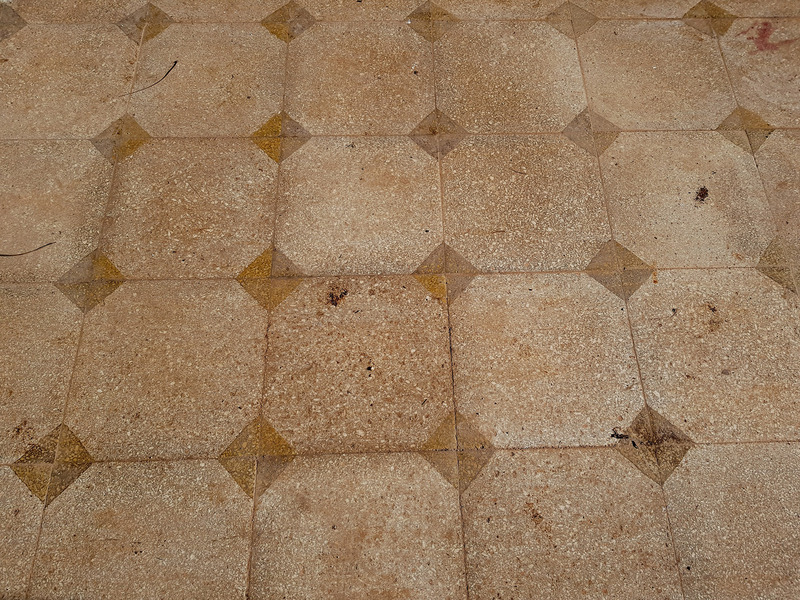 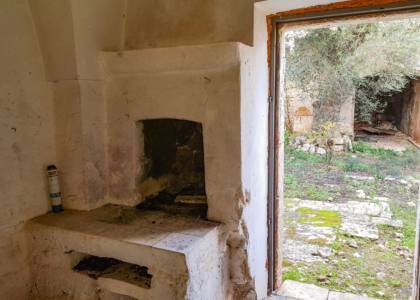 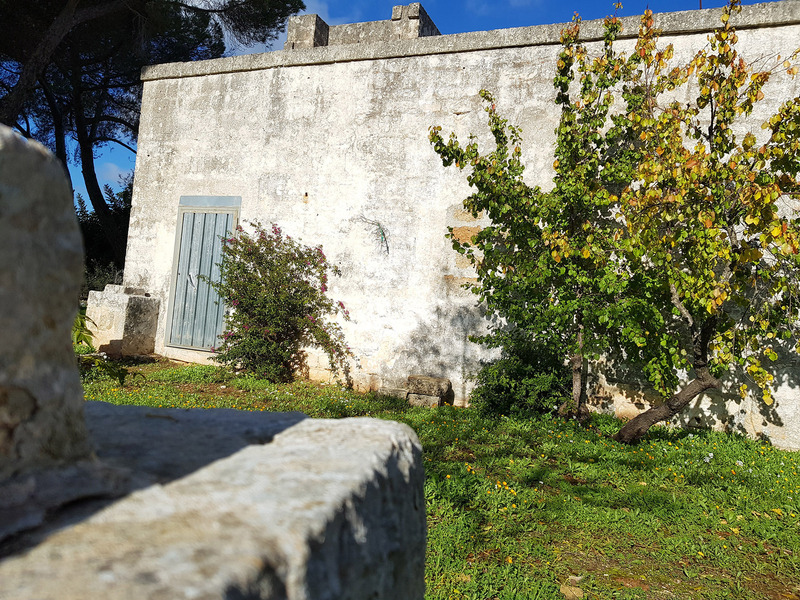 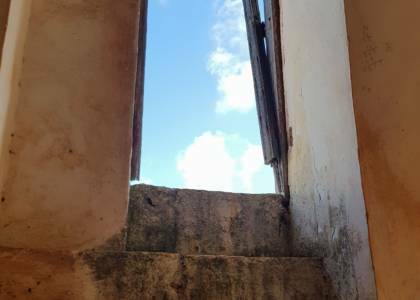 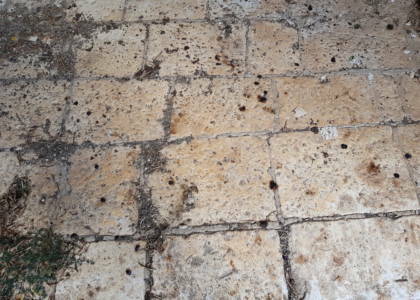 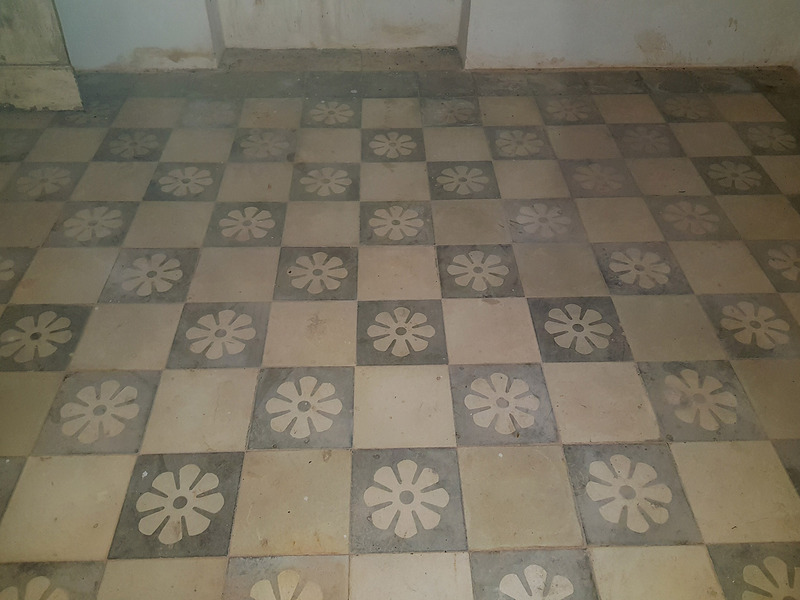 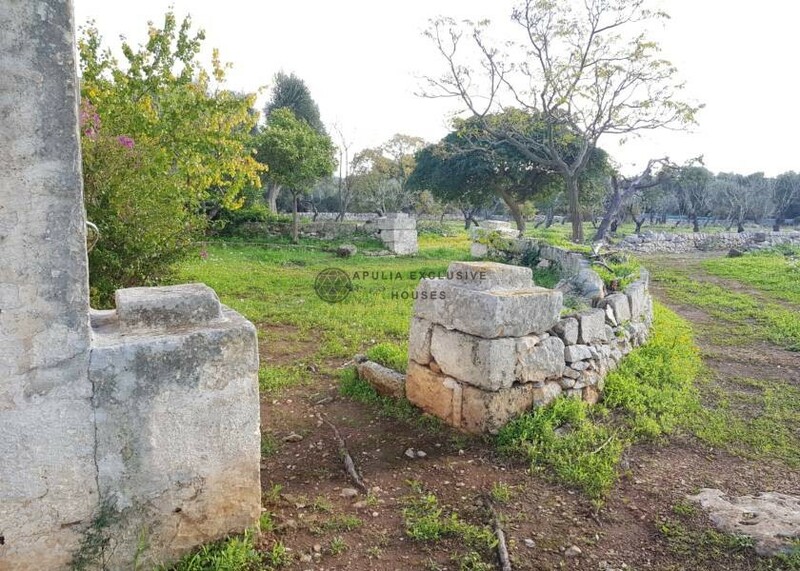 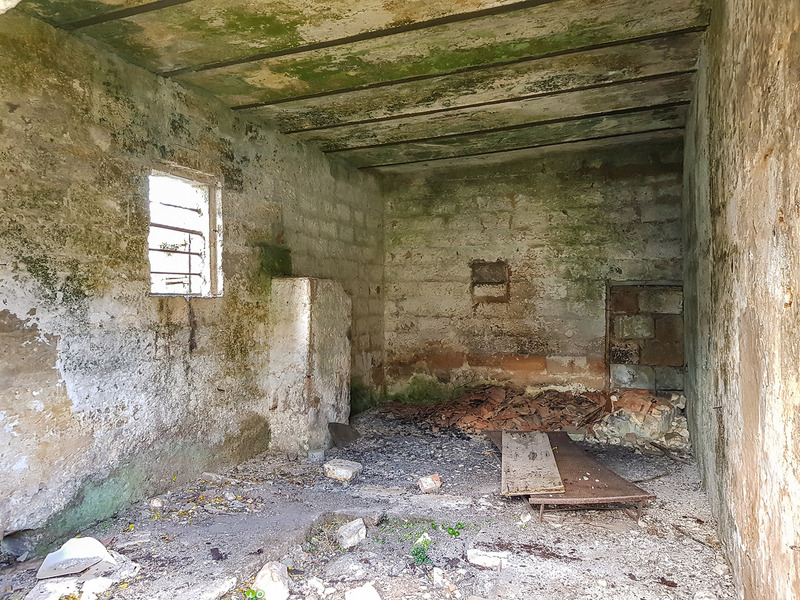 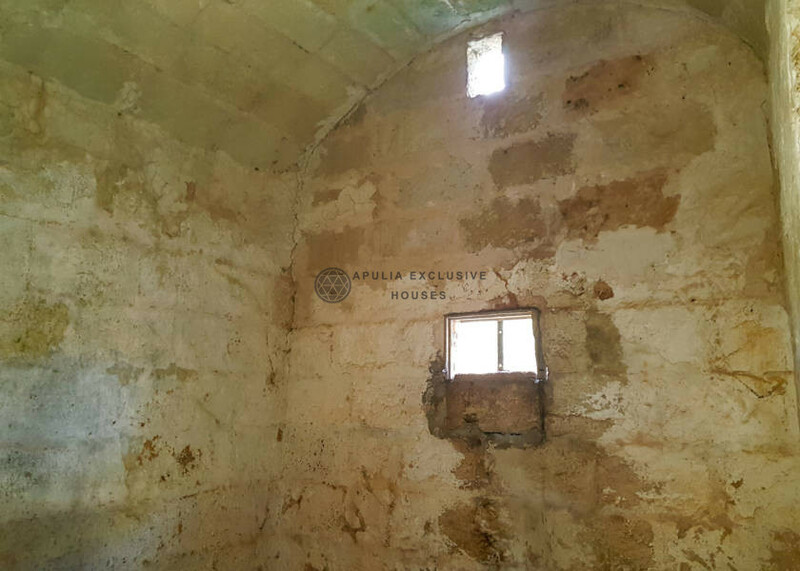 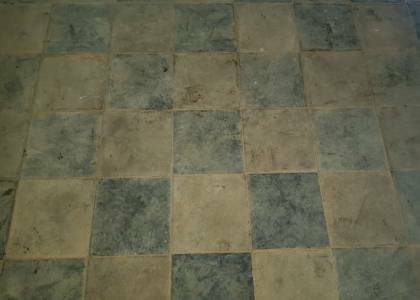 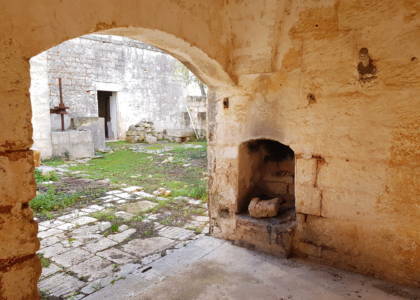 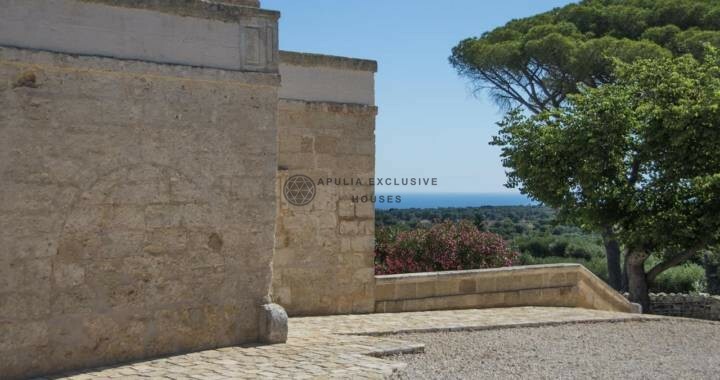 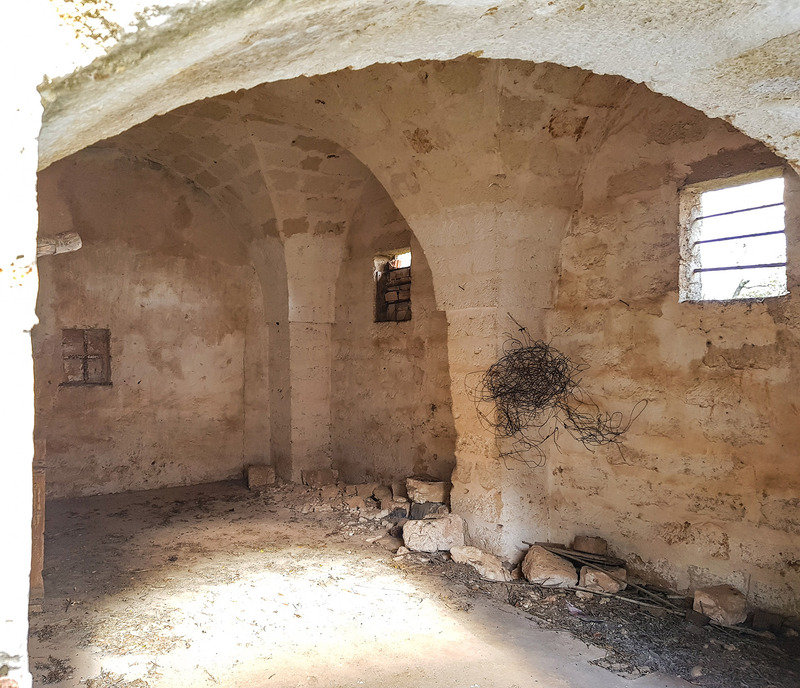 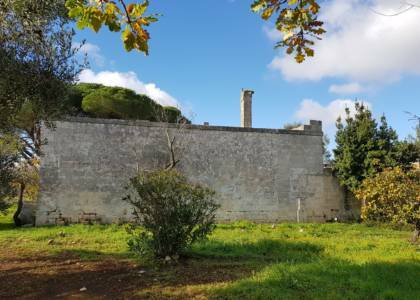 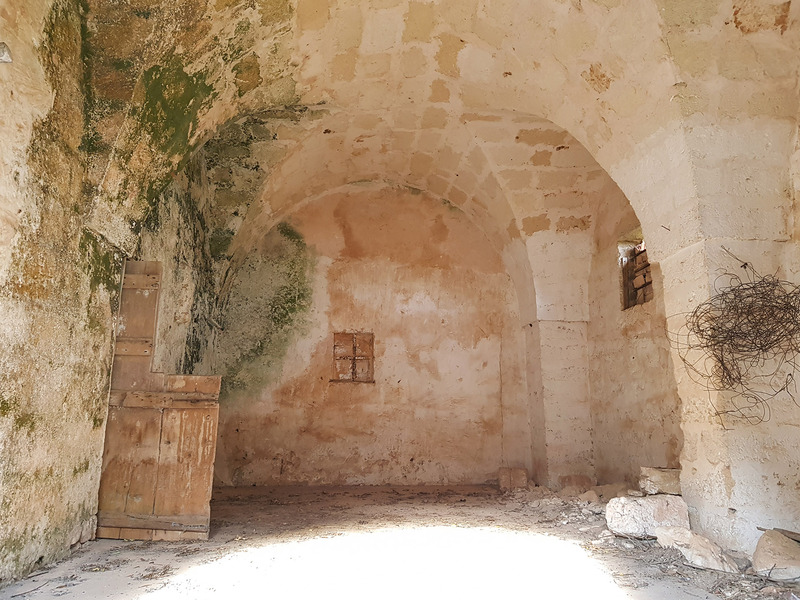 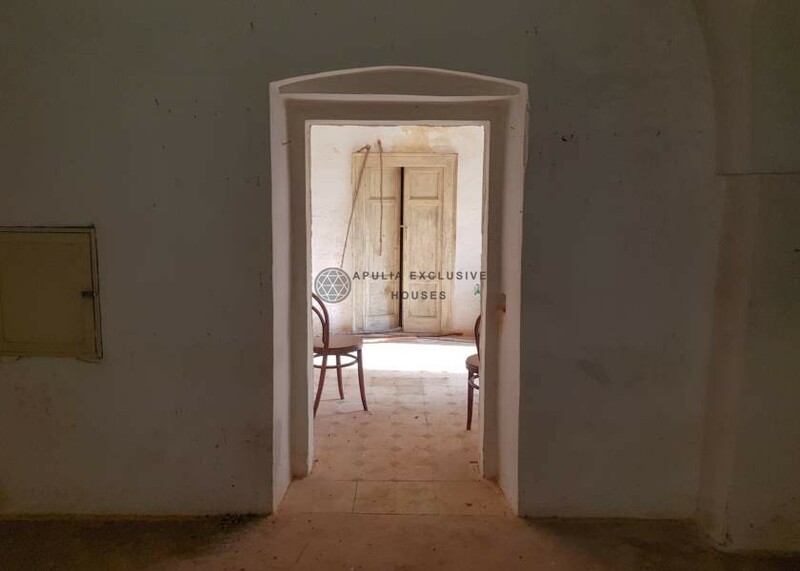 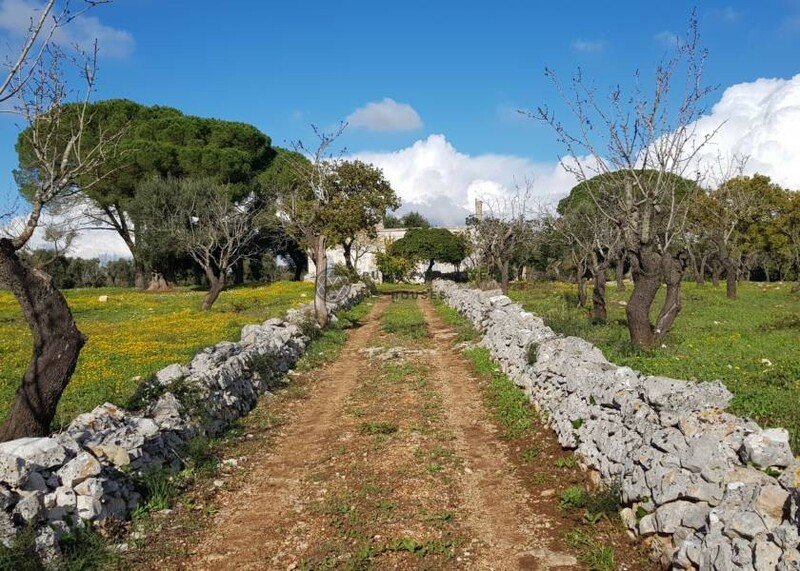 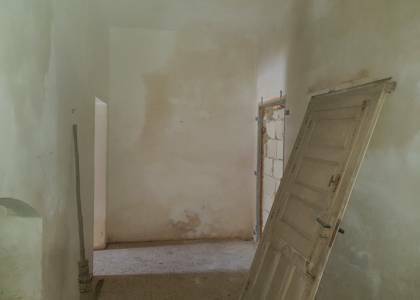 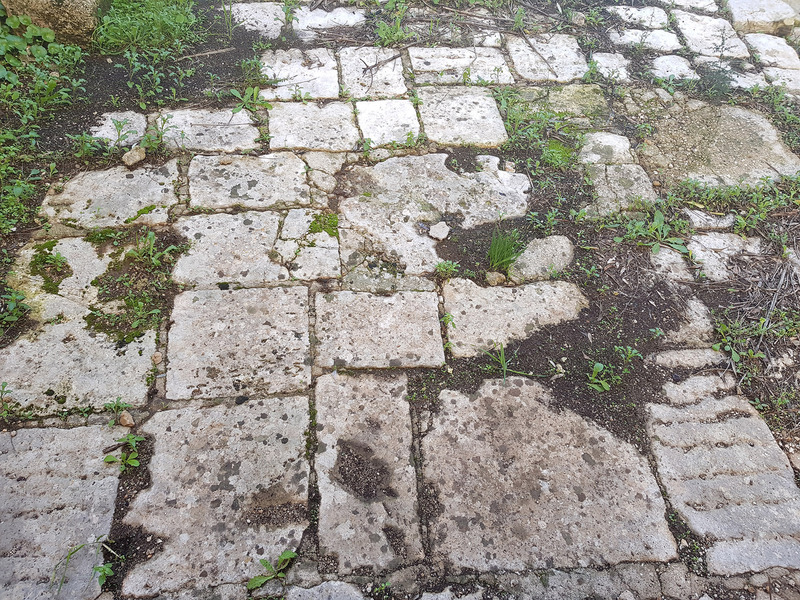 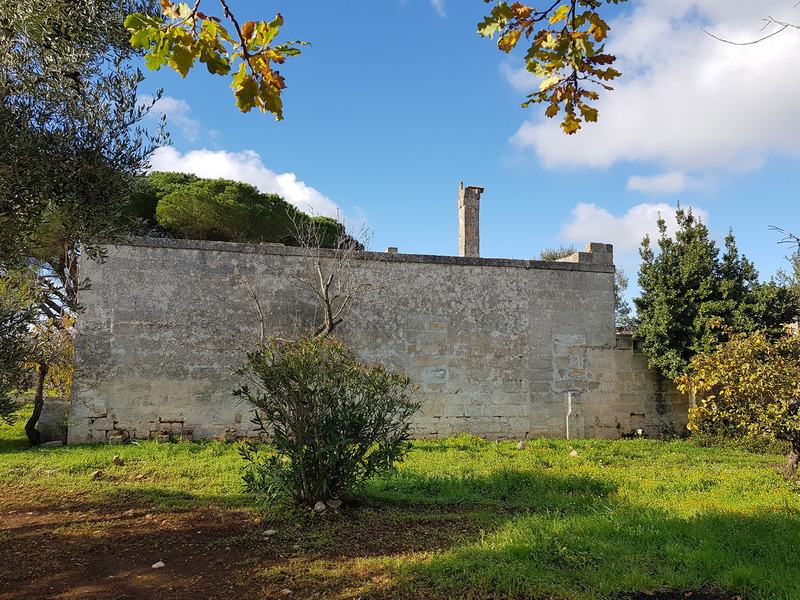 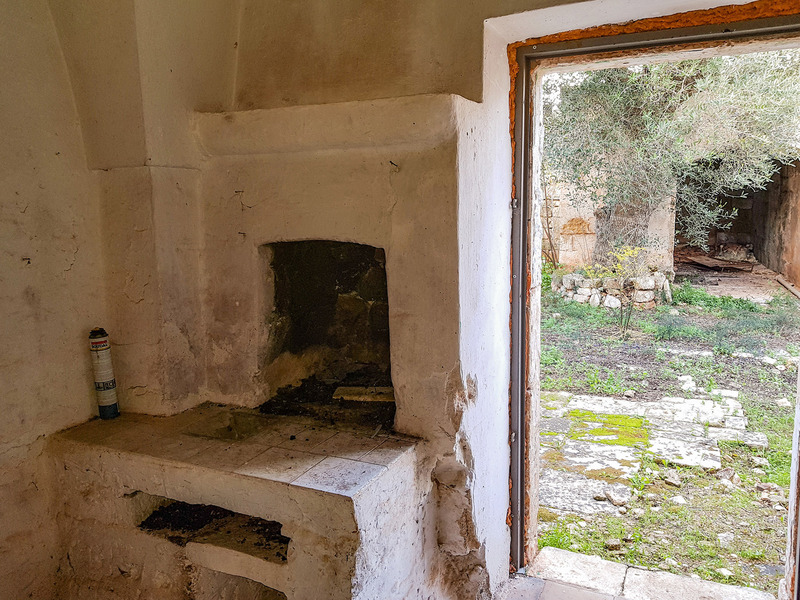 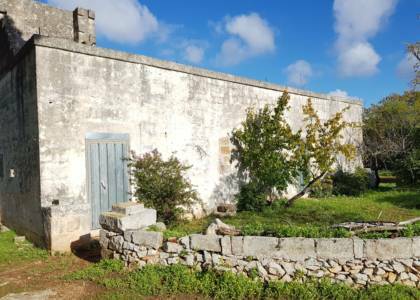 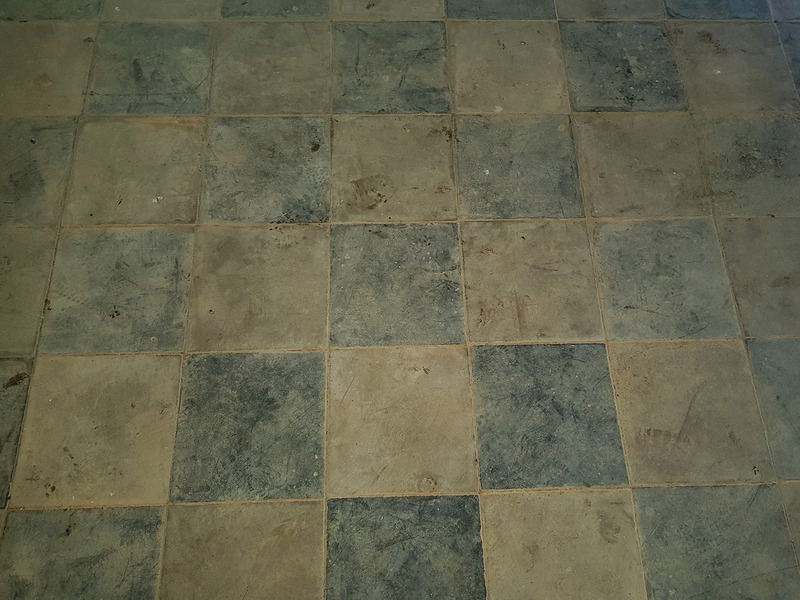 Beautiful stone countryhouse for sale in Carovigno. 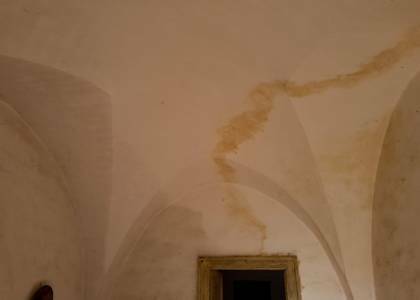 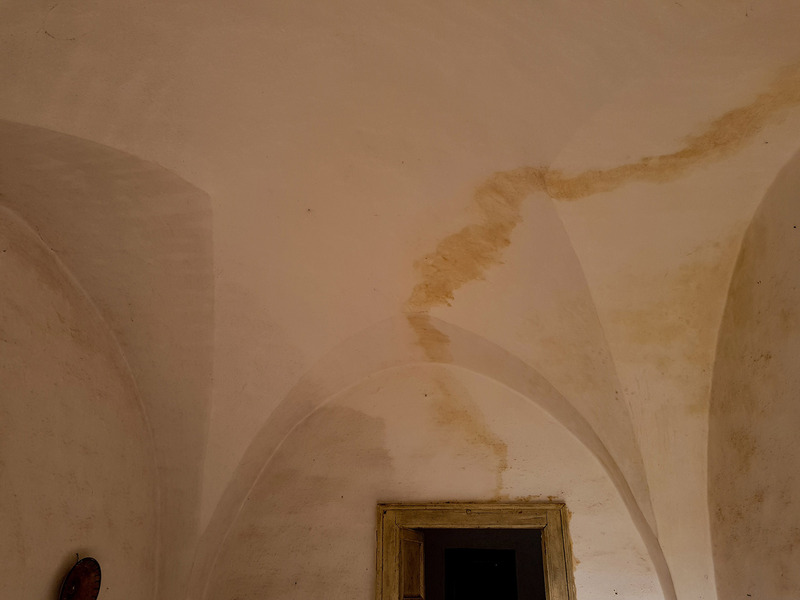 The structure is solid, with rooms adorned with ceilings with star and barrel shape vaults and antique and original floors. 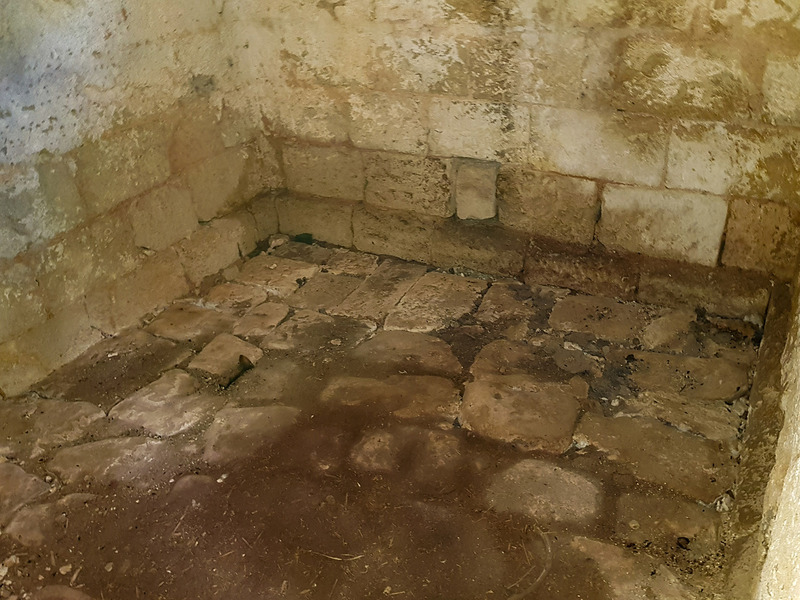 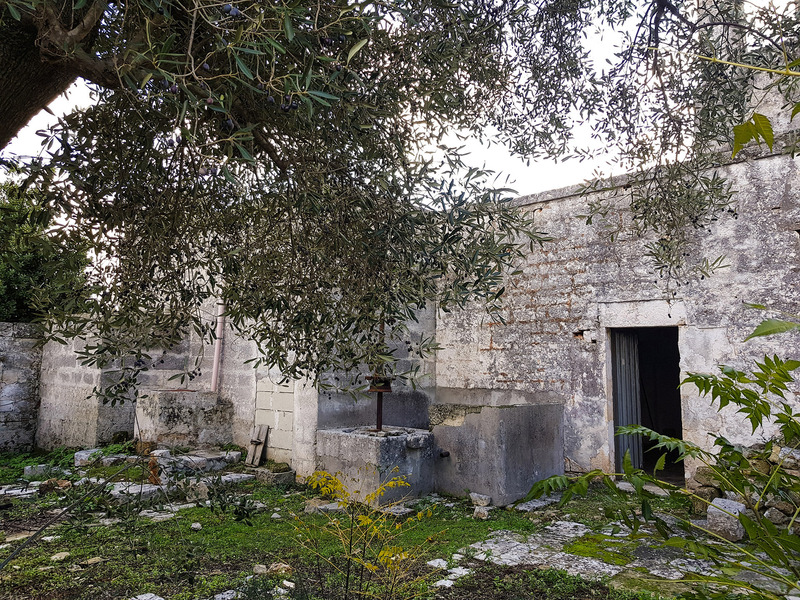 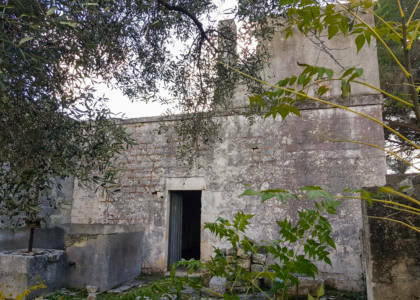 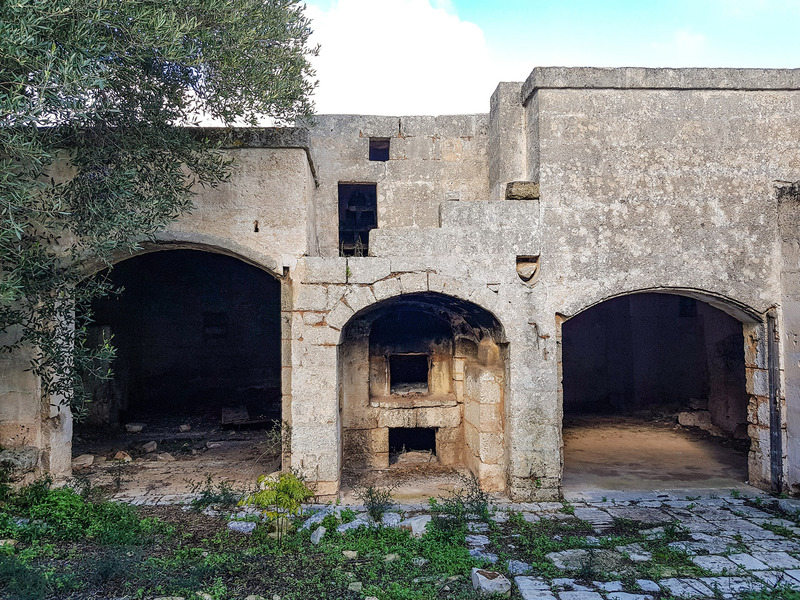 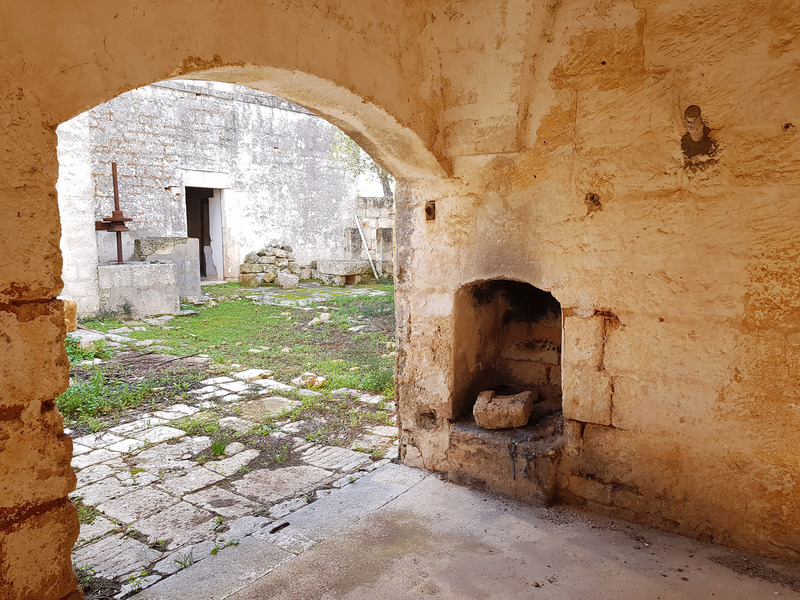 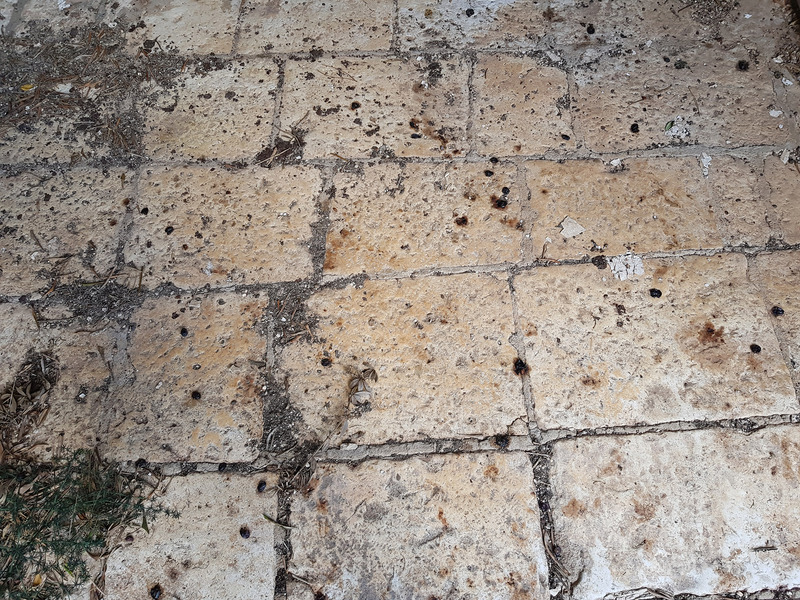 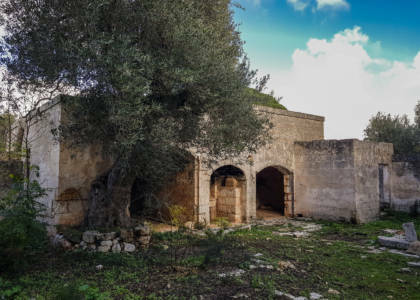 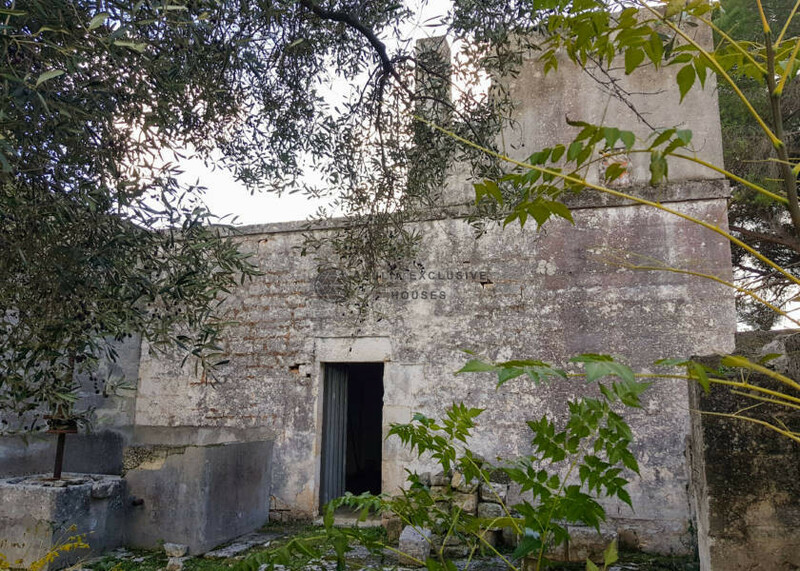 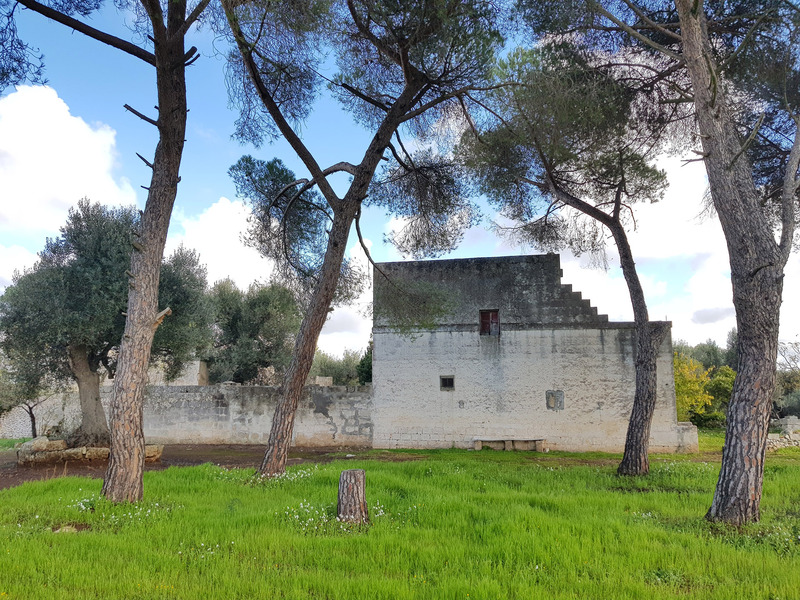 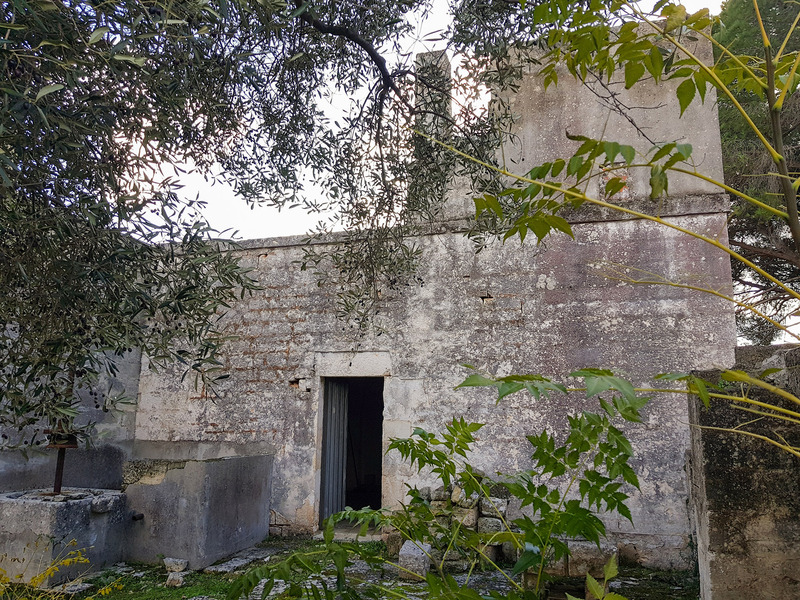 Outside there is a small courtyard bordered by a low dry stone wall and an interior one very private partially covered by chianche, with an olive tree, a small orange grove, a cistern, a wood oven and even a small millstone; from here you can access the area where it once was used as a stable. 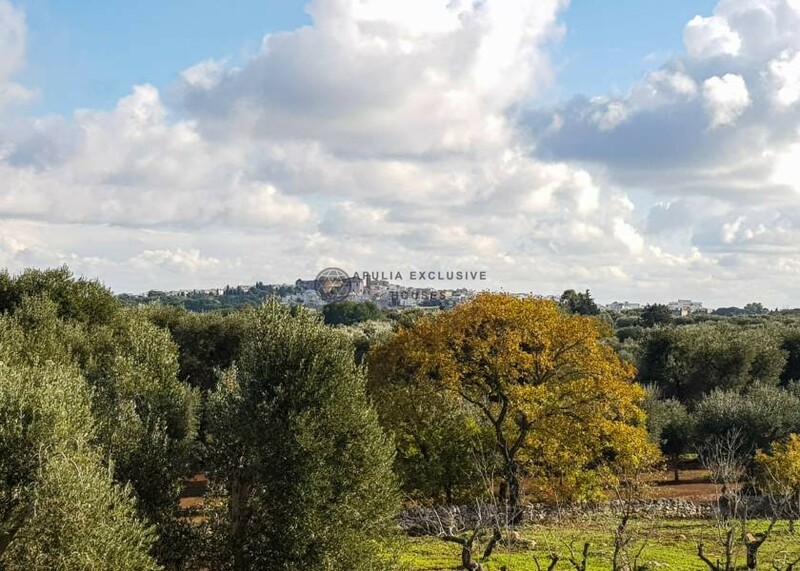 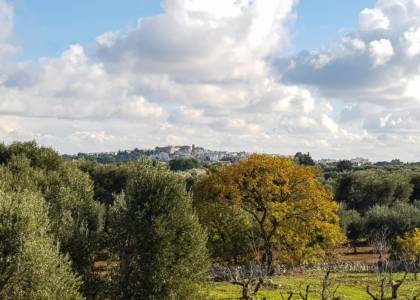 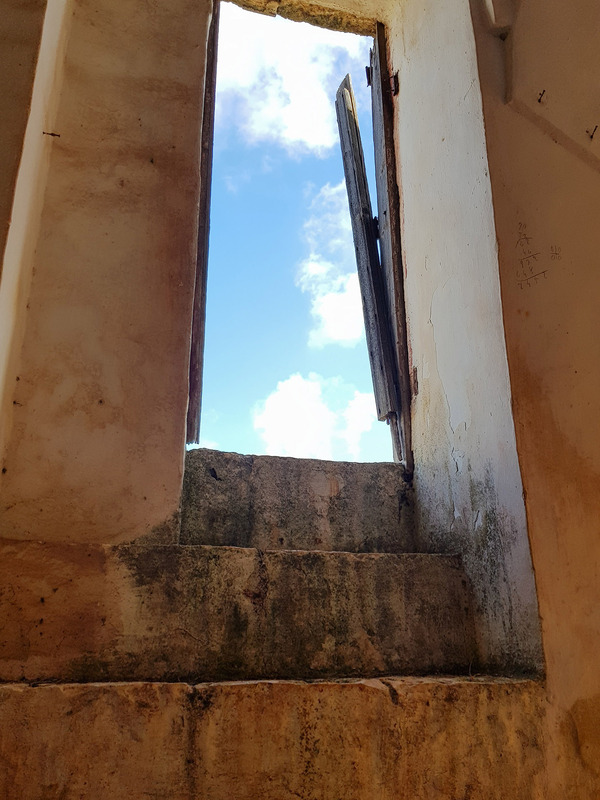 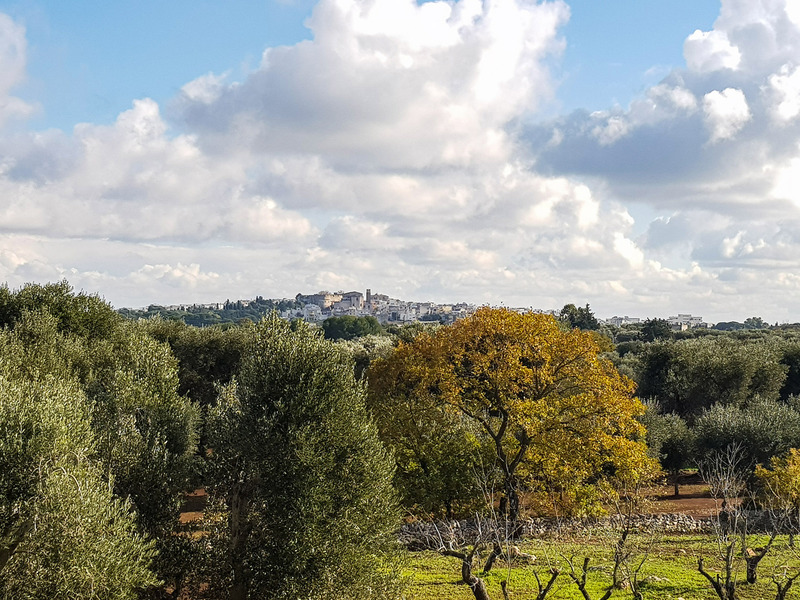 From the terrace you can admire a beautiful panoramic view of the city of Ostuni. 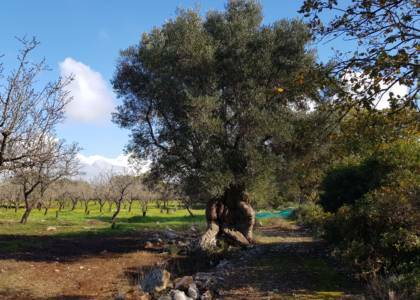 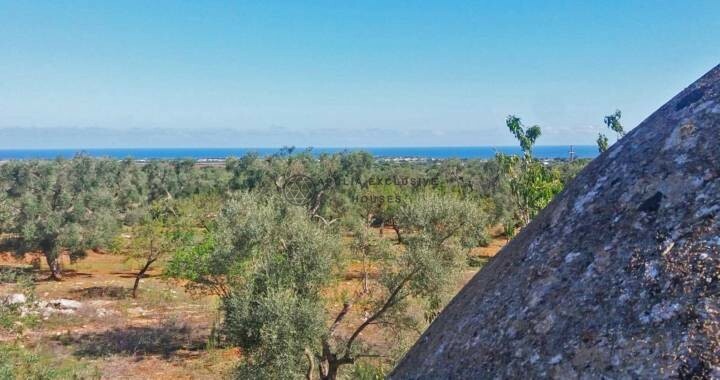 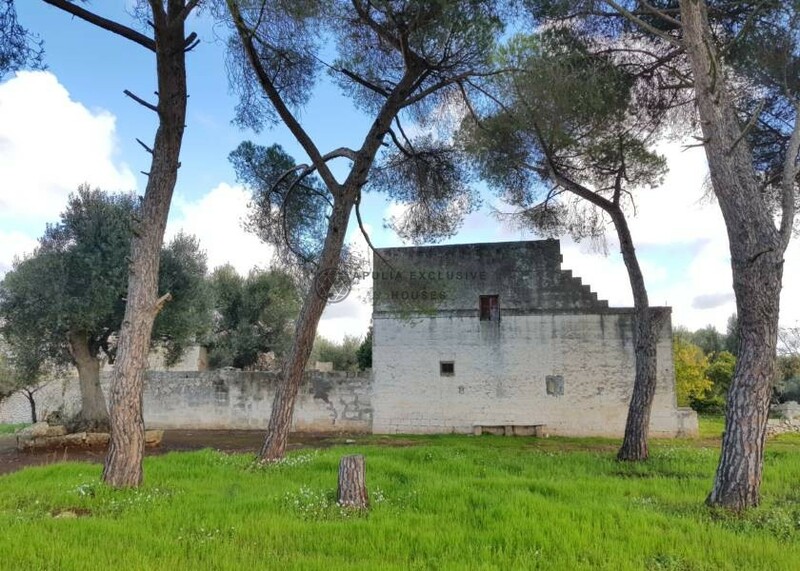 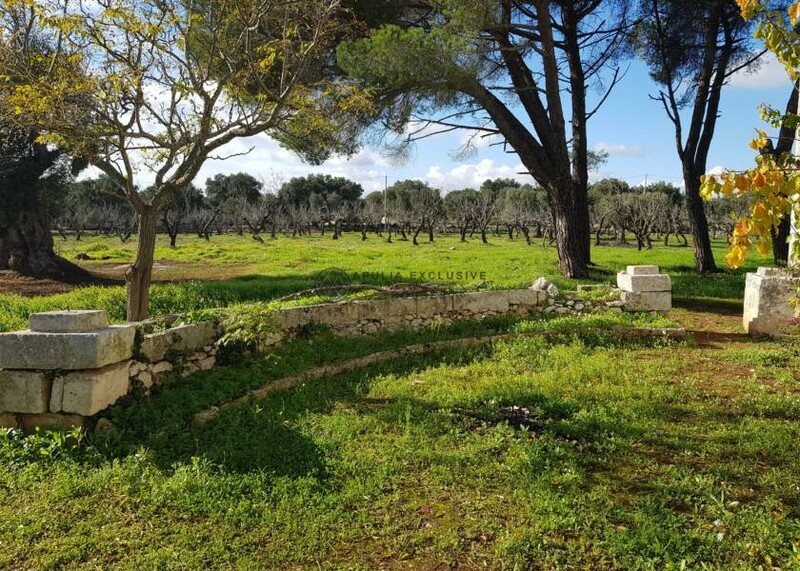 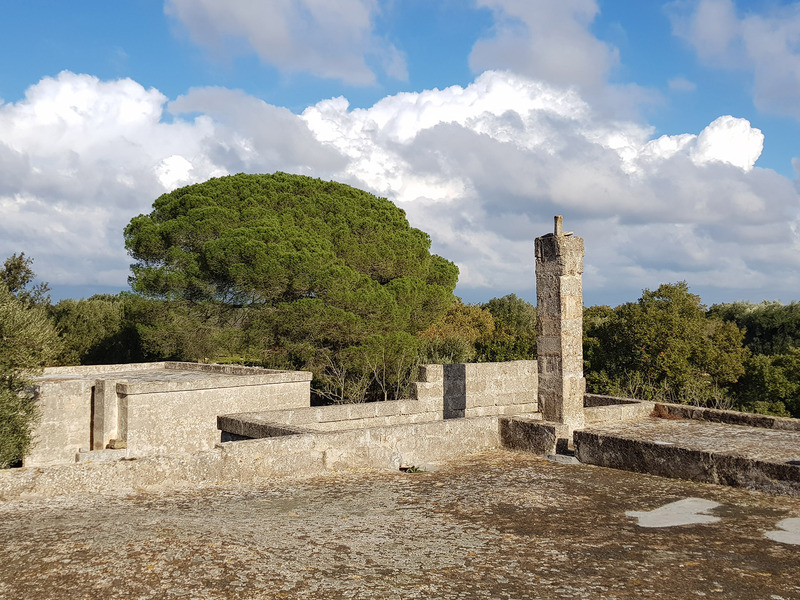 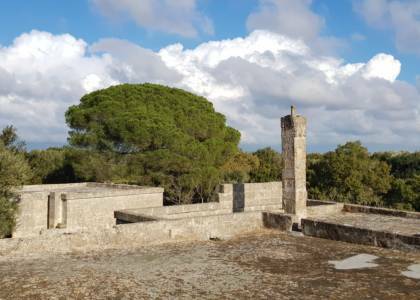 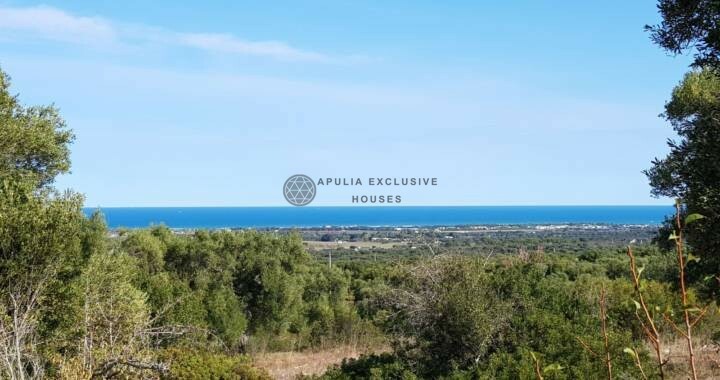 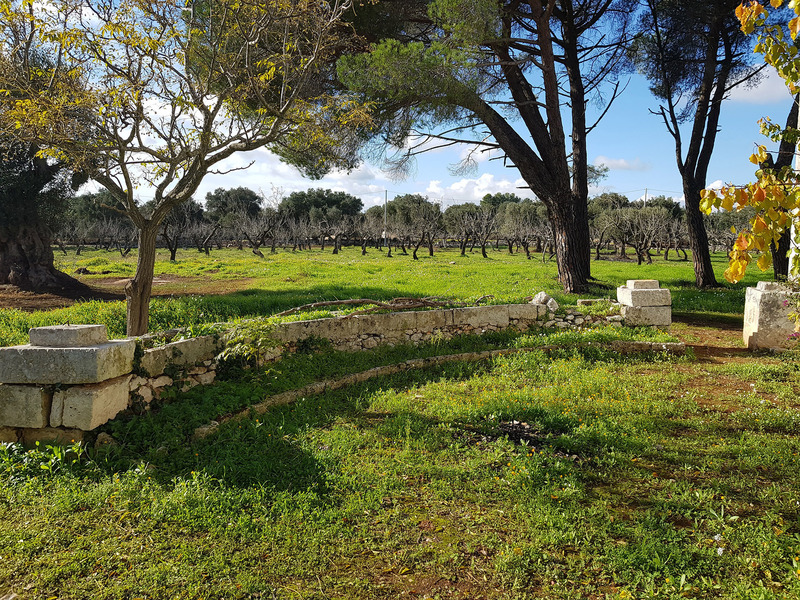 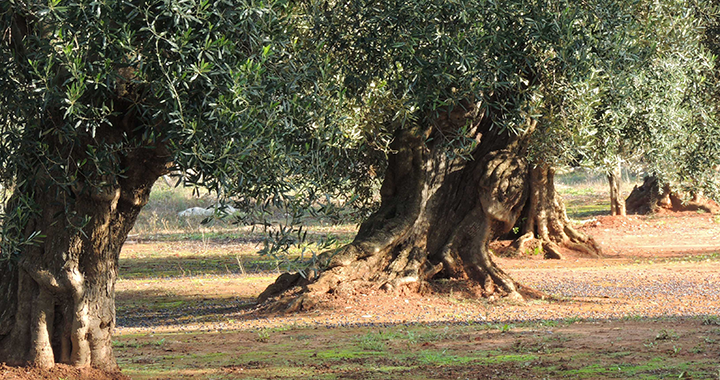 The land of relevance is about 79000 square meters, basically flat, partly cultivated with olive trees and almond trees, partly arable and partly with fruit trees. 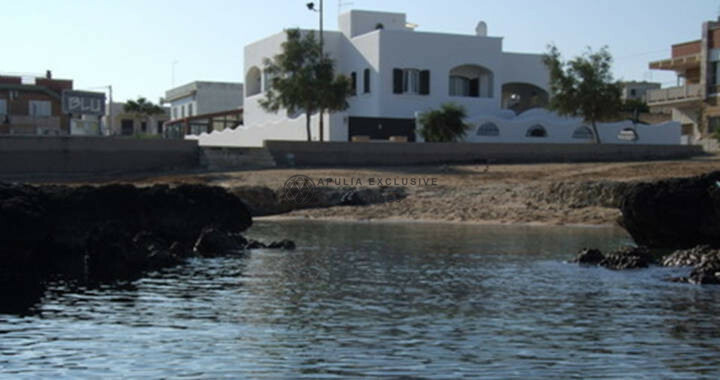 The property enjoys a possibility of large expansion and the construction of a swimming pool, the complex is located in a quiet area.